Use discount code “FITCON” for $15 off! 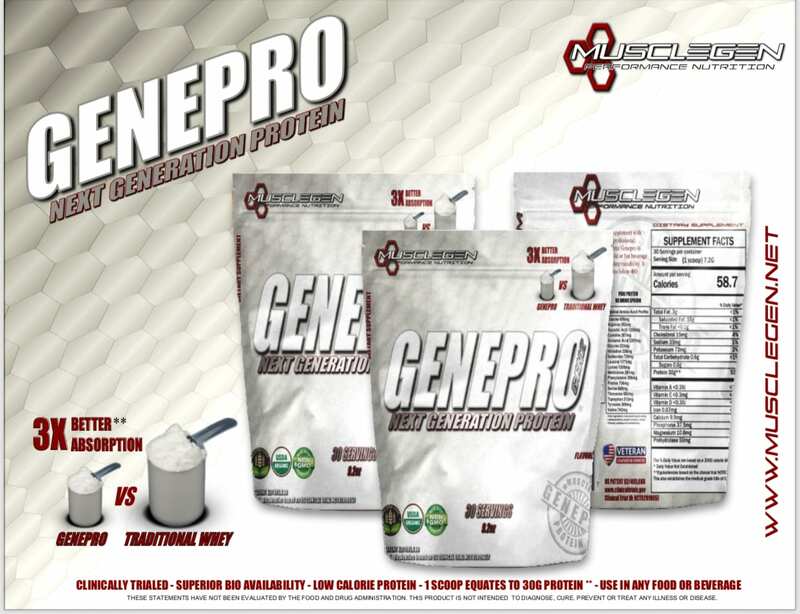 GENEPRO by MuscleGen Research, Inc.
58.7 calories per serving for 30g** of protein! The best just got better with the introduction of Generation 2 GENEPRO. We here at Musclegen are always striving to bring to market the very best and most cutting edge products that have ever been seen in medical and performance nutrition. We are constantly testing and evaluating our supplements and trying to improve upon them to insure that we provide the very best to you. This is the case with GENEPRO. Medical Grade protein perfect for bariatric, post-surgical patients or anyone looking to add pure protein to their diet. The combination of the Tri-Protein and the way it is processed along with the addition of protease enzymes, allows for the equivalent of a 30gram** (we haven’t broken the laws of physics with getting an 7.2g weight to equal 30g in weight but with the absorbability/bioavailability value of GENEPRO you are getting the equivalent of the same 30g serving size of regular whey protein) serving of protein with only about a 1 TBSP serving size. With the small granule nature of this protein, it allows the powder to mix almost instantly in any beverage (hot or cold). It is flavorless and odorless and does not change the consistency of the beverage. Coffee, juice, soda, oatmeal, yogurt or any item you may be adding it to, can now be your source of the most complex and complete protein. The electrophoresis process allows us to remove bacteria and impurities in the base protein for immediate absorption into the system and bypasses the intestinal digestive system by 94%. With GENEPRO, we have added in Prohydrolase®*** which further increases the absorbency to 97.8%. 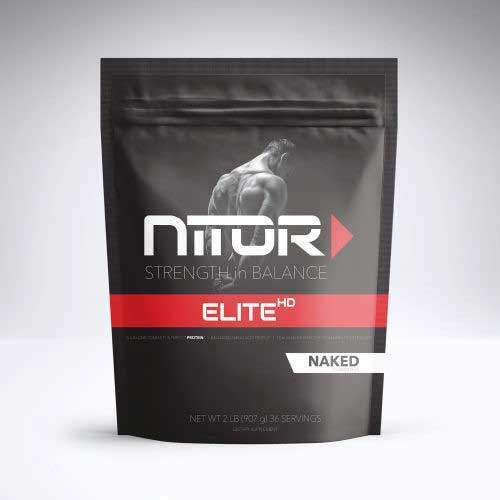 Compare this to Whey Isolate that has an absorption rate of only 31%(see clinical trial), making GENEPRO three times more effective than any other protein on the market. GENEPRO is ideal for individuals with gluten sensitivity, lactose intolerance, diabetes and bariatric patients. Because of the immediate absorption your body peaks with a surge of insulin 10 times more anabolic than Testosterone. 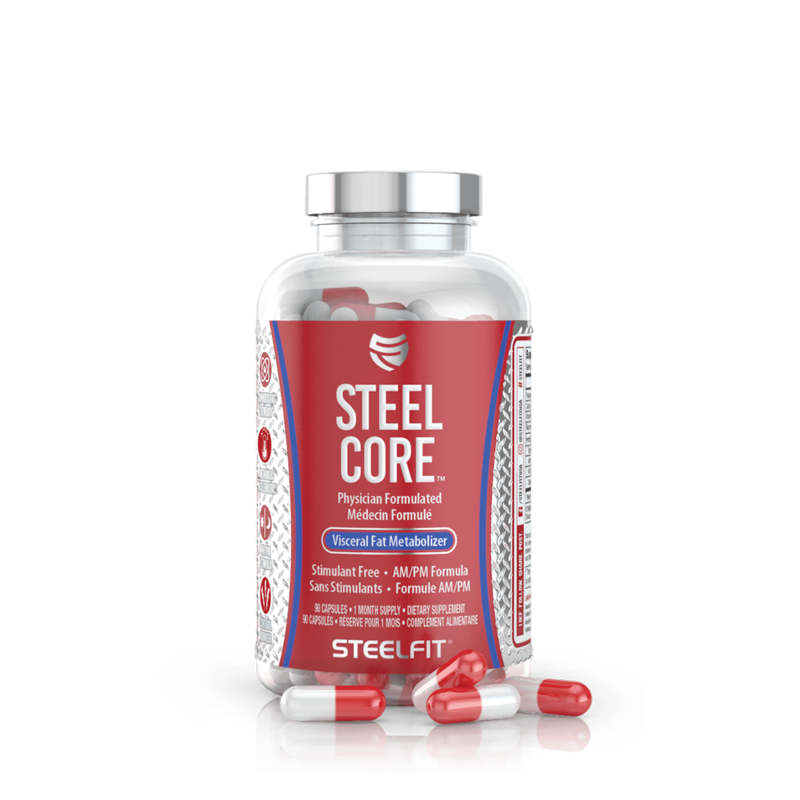 This will also trigger your thyroid to match the surge of insulin causing your body to be in a full anabolic and fat burning state, while supplying the muscles with the world’s most complete and usable protein. 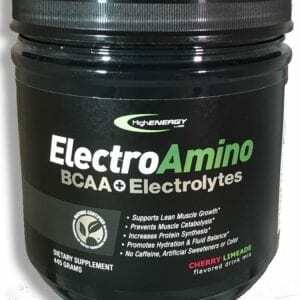 This combination feeds the muscles and aids in the repair and the building of new muscle. MIXING INSTRUCTIONS: It is always best to mix Genepro in lukewarm beverage prior to mixing in extreme cold or hot beverage or food. Use a fork, rather than a spoon for complete mixability. It is safe to bake with Genepro but keep temperatures below 400 degrees and for less than 15 minutes. COLD beverages: Sprinkle GENEPRO GEN2 on top of the beverage and stir lightly (use a fork, NOT a spoon). HOT beverages: Sprinkle GENEPRO GEN2 on the bottom of a dry cup or bowl prior to adding the liquid. Stir lightly (use a fork, NOT a spoon). ++In liquids that are higher in PH/ALKALINE it is recommended that GENEPRO GEN2 be first mixed in lukewarm, lower PH, liquid to insure complete mixability, and no clumping, prior to combining it with the higher PH liquid. Example, mix one scoop GENEPRO® GEN2 with 2oz of liquid dairy creamer prior to adding hot coffee. If you have any clumping issues, please try this remedy and you should have the issues fixed. ++ In clear liquids, GENEPRO GEN2 will make the liquid cloudy but will NOT affect taste or consistency. Some users will experience Synesthesia (your mind telling you that there is a taste or change based on a change in sight or visual sensory stimuli). This is present in less than 9% of the population. +++ Please note that adding GENEPRO GEN2 into a full commercial water bottle with a regular cap, will result in clumping. Genepro needs air in order to completely mix (with little to no effort), adding GENEPRO GEN2 on top of your water in such an enclosed environment will not allow enough air into the bottle. Shaking the bottle when there is 2/3rds or less in water volume, will allow the powder to mix easier.